Hold-Ups™ is the original glass ball paper holder developed and manufactured by Creative Aussie since 1987. Hold-Ups is a high quality paper holding system that has been designed to hold paper firmly in position, even under the most demanding conditions. 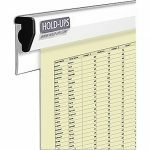 The Hold-Ups has long been regarded as Australia’s best paper holder and is found in many of the world’s best restaurants, schools, universities and businesses. Use them for plans, photos, memos, notices, x-rays, maps, displays, and food and drink dockets. Paper capacity from one page to card 3mm thick can be held in Hold-Ups. 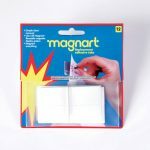 White in colour, powder coated, screw in or use tape for lighter applications. They are available in silver for an extra cost of $2.00 per metre. 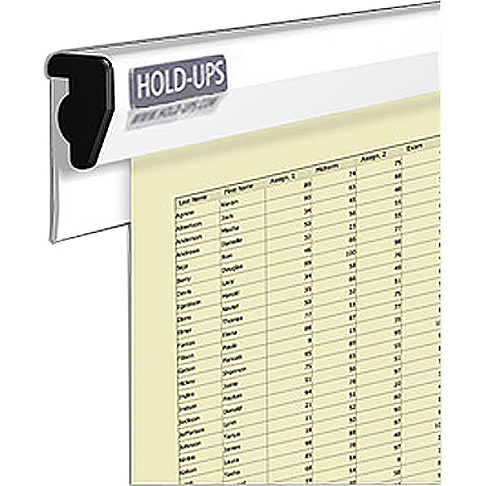 The Hold-Ups has long been regarded as Australia's best paper holder and is found in many of the world's best restaurants, schools, universities and businesses. Custom sizes are available to suit your individual needs. Simple - stick the small adhesive metal disc to your wall, put your artwork paper overtop, put small magnet onto paper over disc. Strong magnet holds paper in place. You can put coloured covers over magnets or leave silver. Very neat, very sophisticated, as seen in galleries. 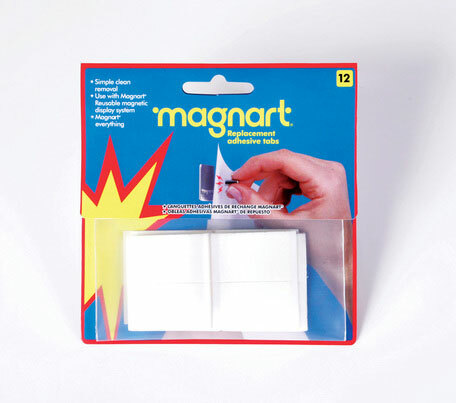 Magnart is an innovative magnetic hanger display system that eliminates the need for nails, pins, tape or blu-tac. 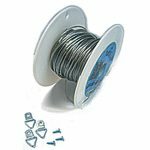 Good quality strong plastic coated wire for hanging pictures, holds up to 20kg. Available per metre or per roll. D ring clips are large and small, with screws large and small to fit. Use the larger D ring clips for heavy pictures. Use power drill for easy installation. beyond this you must order a roll.